“Woody” is a left-arm fast-medium bowler and right-handed batsman. Beginning the 2010 season on a development contact, Chris found himself with a chance to play regular first team cricket as senior players were hit by injury, especially in limited-overs fixtures. He relished the opportunity, establishing himself as Hampshire's leading 40-over wicket taker, and his 20 wickets in the T20 campaign represented the second best haul ever in a season for Hampshire. 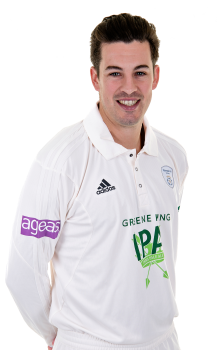 In 2011, he continued his good form for the club, once again ending the CB40 campaign as the leading wicket-taker and forging a more permanent place in the club's four-day side. Wood showed he was quickly becoming a genuine all-rounder in 2012 when he scored his maiden first-class hundred against Leicestershire at Grace Road, then - the following day - held his nerve in a tense final over of the Friends Life T20 Final to give Hampshire victory at the SWALEC Stadium in Cardiff. 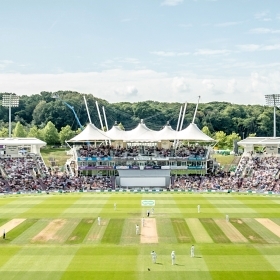 Despite an injury-plagued couple of seasons for Hampshire, Wood returned to his best at the end of the 2014 summer, picking up 15 wickets in just four County Championship, whilst the seamer demonstrated his limited-overs skills once again the following season, topping the club's T20 bowling averages on the way to a Finals Day appearance. 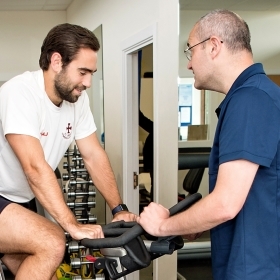 Chris underwent surgery in May 2016 after sustaining a knee injury and it was announced soon after the operation that Wood was ruled out of action for the rest of the season. 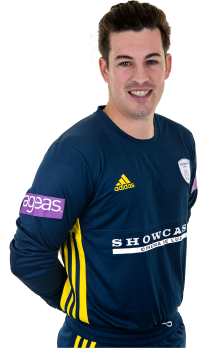 Wood impressed for the 2nd XI with both bat & ball on his return throughout 2017 whilst proving to be as essential as ever to the first-team's bowling-attack in T20 cricket, playing an important role in helping Hampshire reach a record seventh Finals Day. 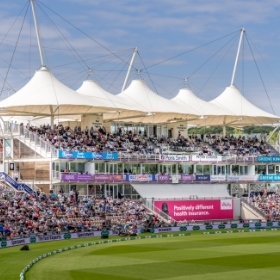 The 28-year-old enjoyed an excellent campaign in 2018 as his experience with ball-in-hand helped his side secure Royal London One-Day Cup glory, before a 19-wicket return in the Vitality Blast competition saw him finish in the top 10 wicket-takers in the country that summer. His crucial contributions saw him rewarded with a new contract at the end of last season.